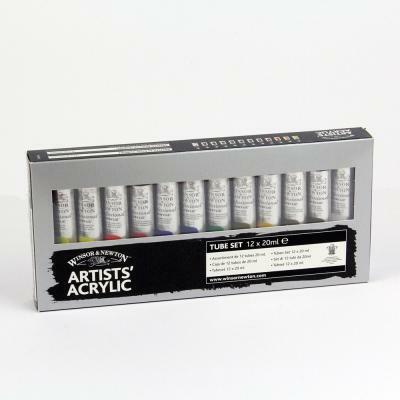 This set contains an assortment of 12 x 20ml Winsor & Newton Professional Acrylic paints. Winsor & Newton Professional Acrylic is a professional quality range of acrylic colours with unparalleled brilliance and intensity. Thanks to the highest pigment levels combined with a unique new resin, Professional Acrylic colours remain as brilliant and intense dry as they do wet. An extremely versatile acrylic, they have a luxuriously thick buttery consistency and are suitable for all techniques and applications from thick impasto to dilute water colour washes.